The higher my stake, the more money I make. This is my raw understanding of how proof of stake works. Say I have a good machine with a decent GPU but no money to invest upfront > then I have no stake > and without a stake I make no money > thus I have no interest in working with Ethereum. Why would poor people contribute to the network if the ones making all the money are the ones which already have bucketloads of it? Doesn't this create a snowball effect leading most of the small fish to simply pack and leave? It's counterintuitive but PoS is fairer than PoW (as we know it). 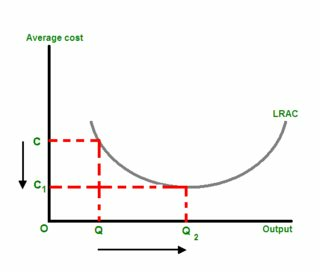 Economies of scale: a proportionate saving in costs gained by an increased level of production. PoW miners have to invest their capital in hardware. The costs of running a mine is composed of fixed costs and variable costs. If you are a kid mining in the basement of your parents you might not have many fixed costs, but you can't even scale or the electricity bill will get you in trouble. If you have a serious mining farm on the other hand, you have a certain capacity in your mining plant where an additional hashpower will not increase your fixed costs. You even can optimize everything to a high level of efficency. With PoS fixed costs are negligible: no space to rent, no admin to hire. PoS is not perfect but, it reduces inequality and improves security by incentivizing small stakers to contribute. A validator isn't supposed to be the average user, or the a member of the ruling class, or the outsider getting in. A validator is supposed to be an employee of the network. Specifically, their job is solely to verify transactions and put their economic weight behind what they say. It's not anything more. A validator must lock away some ETH for a time (with associated risks), run the machine for that same time (with associated risks), and then actually do their job. Since they will lose at least part of their investment for misbehavior, we can economically trust that they will actually do it, up to the point of their initial stake. Someone who slaps down $1,000 worth of ETH has $1,000 worth of a reason to validate properly. This isn't the full story, of course, but it's the basic principle. It's true that rewards in PoS are relative to stake (They have to be, or otherwise a single user would just fund and control more validators). Nonetheless, this doesn't mean the rich will be making all the money. A larger share of transaction fees and any subsidy, yes, but that does not entitle them to any other part of the Ethereum economy. As it is, verifying a transaction involves running it, so a validator with a higher stake will be doing more work as well. While in PoW, one could theoretically start with just a graphics card and mine away, or even a CPU and just mine away, realistically this will not result in any appreciable amount of coins. Or, for that matter, more than what the electricity and wear on hardware would cost. After sufficient time, a PoW algorithm will invariably gain some level of specialized hardware in order to mine efficiently (a.k.a. ASICs). In other words, you'll have to shell out money to make money. And someone who shells out even more money will make even more money. In PoS (which doesn't require any GPU, by the way) that equation is still there, just more obvious. If you, as some random individual, want to start a validator, you can buy enough ETH for the minimum stake, set up the right software, and leave it going. That's little essentially different if you start PoW mining as a serious business. The vast majority of post-Casper Ethereum users will use it in the same way that the vast majority of current Ethereum users use it today--buying ETH with fiat or in exchange for some other good, then sending transactions without mining them personally. Validating (or mining) is a part of the ecosystem, but not one that everyone is expected to participate in. POS - Rich in cryptocurrency gets richer in the cryptocurrency mined. In POW, there are quite a lot of work to be done from having fiat currency to setting up a mining farm, maintenance, electricity etc. In POS, there is not so much work, as you just need to deposit your cryptocurrency. Perhaps we can compare them clearly and quantitatively by calculating their ROI (return over investment). Not the answer you're looking for? Browse other questions tagged proof-of-stake casper proof-of-work or ask your own question. What will change after reaching PoS? Will miners still make Ether after POS?